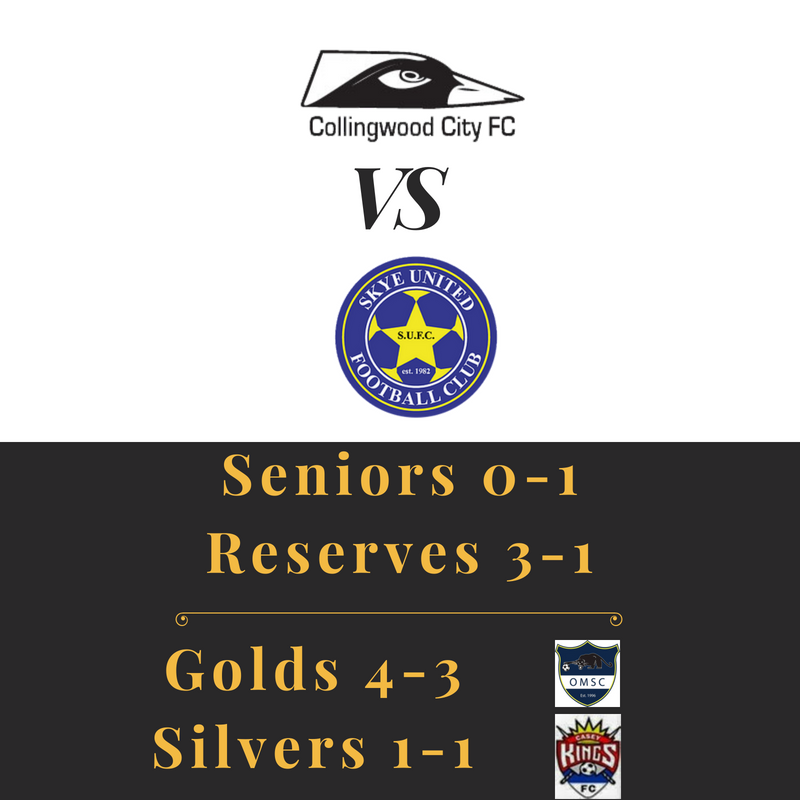 Posted in Club News and tagged with State 3 South East, Reserves, Seniors, Soccer, Mens, Metro 6, Metro 8, CCFC, Collingwood City, football, Football Victoria, FFA, FFV. September 2, 2018 by Wayne Lewis. We tried to get all four wins for Paul Neff as a present, we hope he understands! Posted in Club News and tagged with State 3 South East, Soccer, Metro 6, Metro 8, Skye United, Reserves, Seniors, Football Victoria, football, FFV, FFA. August 5, 2018 by Wayne Lewis. 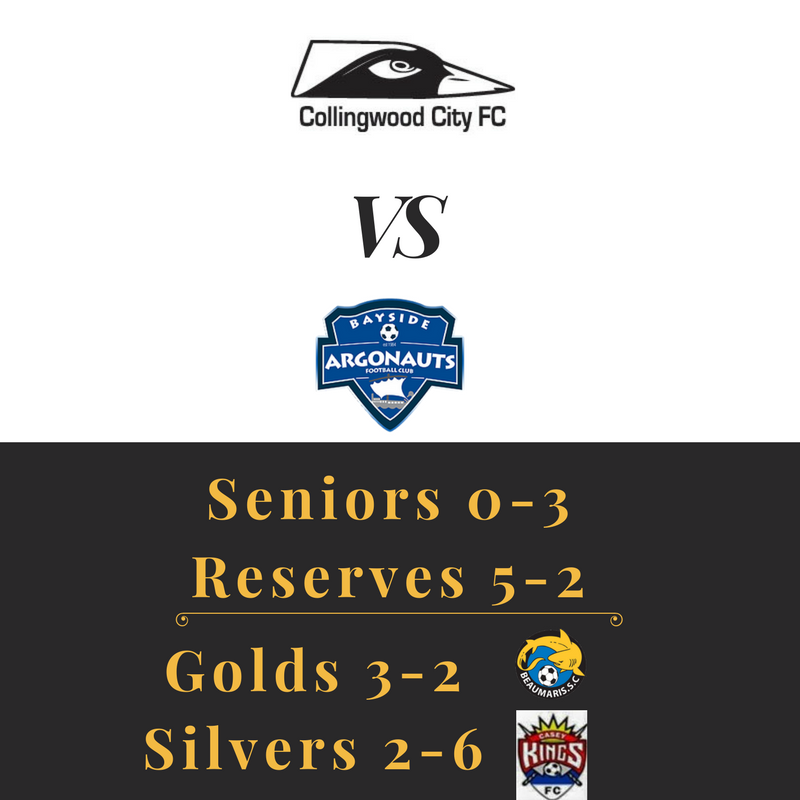 No goals from Dean Leigh this week, but the Golds had a BYE, so it can be excused. Posted in Club News and tagged with Metro 8, Metro 6, FFA, FIFA, football, Football Victoria, Seaford United, Melbourne Rovers SC, State 3 South East, Victoria, Burnley Oval, Soccer, FFV. July 1, 2018 by Wayne Lewis. Points all around and goals for nearly everyone! Posted in Club News and tagged with Metro 8, Metro 6, Baxter Soccer Club, Noble Park United FC, Seaford United, State 3 South East, Seniors, Reserves, Kevin Bartlett Reserve, Football, Soccer, Mens, Football Victoria, FFV, FFA, football. June 25, 2018 by Wayne Lewis. All three points from all four teams this weekend! 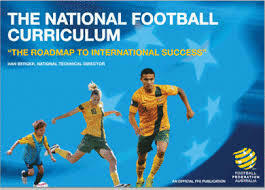 Shame the Socceroos couldn’t make it a fifth. Posted in Club News and tagged with State 3 South East, Metro 8, Metro 6, football, FFV, FFA, Seniors, Recap, Reserves, Kevin Bartlett Reserve. June 17, 2018 by Wayne Lewis. The Mens team had a fundraiser night to help out Rich Garnett and one of the Golds players went on a scoring spree! 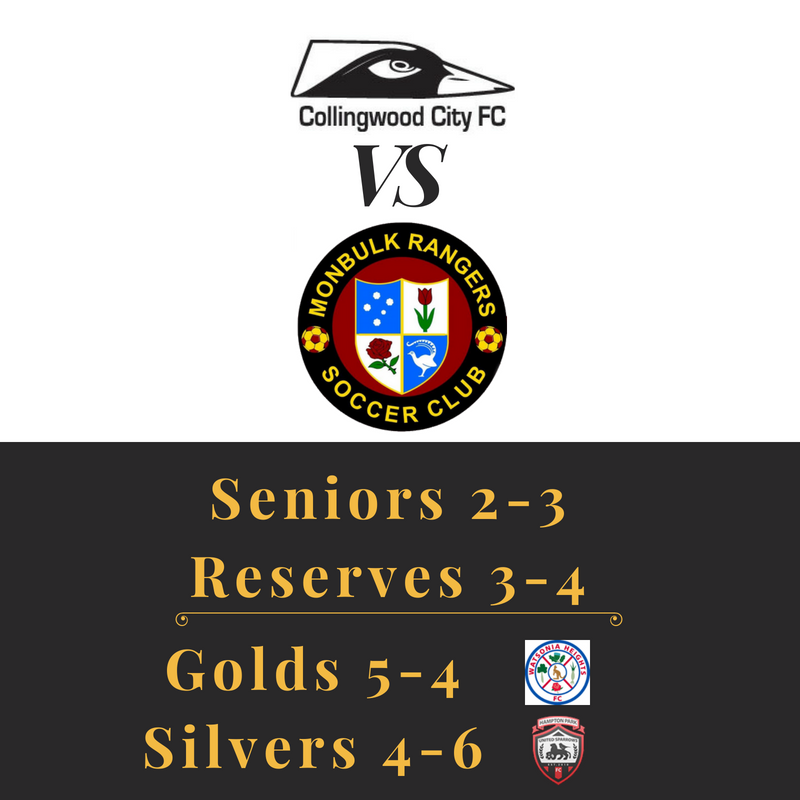 Posted in Club News and tagged with Silvers, Golds, CCFC, State 3 South East, Seniors, South Yarra SC, Mens, Metro 8, Metro 6, FFV, FFA, football, Football Victoria. May 27, 2018 by Wayne Lewis. Away to Monbulk … on a Friday? Get out the Melways! Posted in Club News and tagged with Monbulk Rangers SC, Soccer, Football Victoria, football, State 3 South East, Metro 6, Metro 8, FFV, FFA. May 20, 2018 by Wayne Lewis. No weddings this weekend, back to the game we love! Posted in Club News and tagged with Metro 8, Metro 6, Soccer, Bayside Argonauts, State 3 South East, football, Football Victoria, FFV. April 22, 2018 by Wayne Lewis. The mini bus was ready to go as the Cityzens made the trip to the state line. Posted in Club News and tagged with FFA Cup, FFA, FFV, Wangaratta City FC, football, Seniors, Soccer. February 26, 2018 by Wayne Lewis. Our first preseason took place this weekend featuring three youth players, the return of a youth coach to the side, and for a few, their first trip to Bendigo! Posted in Club News and tagged with Pre-season, Seniors, Juniors, Reserves, football, Football, Football Victoria. February 4, 2018 by Wayne Lewis. Posted in Club News and tagged with Recap, Reserves, Burnley Oval, Metro 6, Metro 7, Brighton SC, State 3 South East, Soccer, Football Victoria, football, FFV. August 20, 2017 by Wayne Lewis. 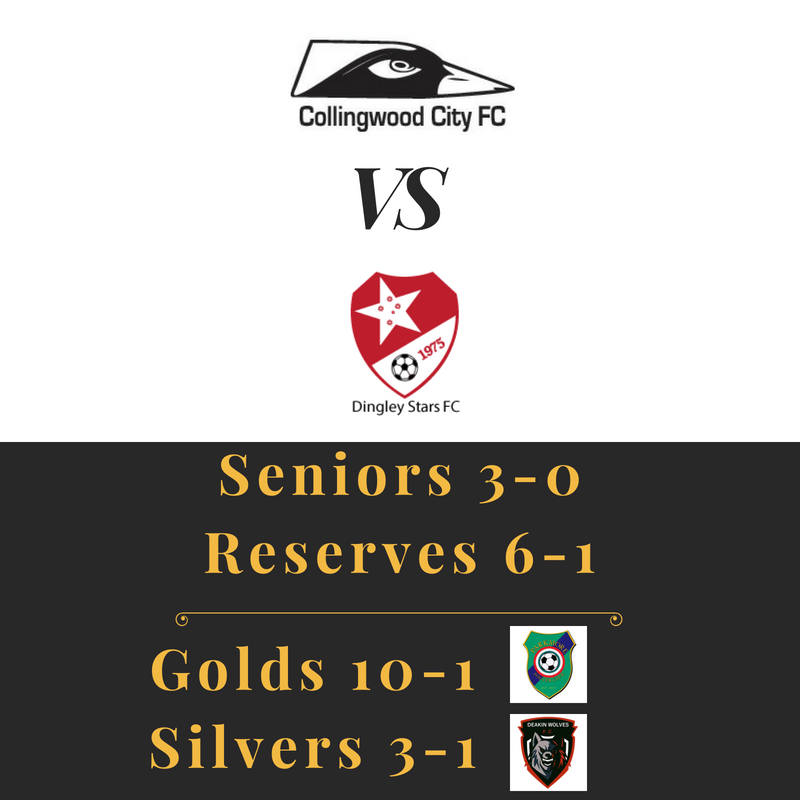 Posted in Club News and tagged with State 3 South East, Collingwood City, football, Football Victoria, Football, Soccer, Dingley STars FC, Metro 7, Metro 6, Mens, Recap, Kevin Bartlett Reserve, Reserves. August 13, 2017 by Wayne Lewis. A trip out to Sandringham, minus Assistant Coach Evans, but he has a good excuse. 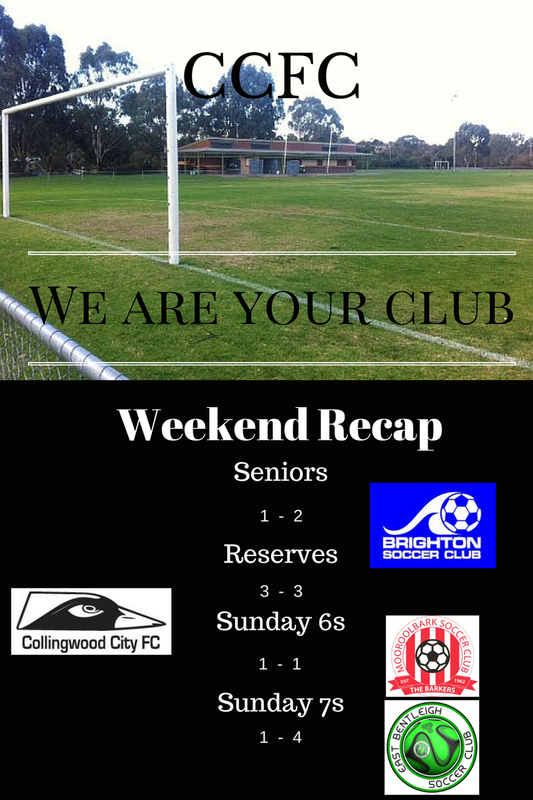 Posted in Club News and tagged with State 3 South East, Recap, Reserves, Seniors, Metro 6, Metro 7, Montrose SC, Mens, Mt Lilydale Old Collegians, Sandringham SC, Soccer, Football, football, Football Victoria, FFV. August 6, 2017 by Wayne Lewis. The Sunday 6s face off against a familiar foe! We were away at Knox, but slightly depleted. The Sunday 6s reminded their old friends who was on top. 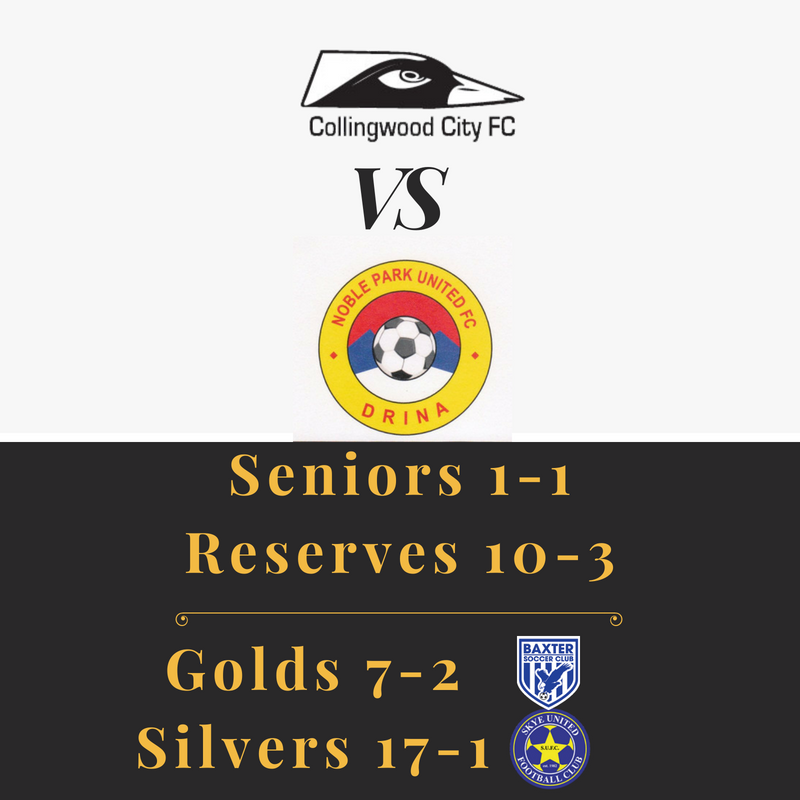 Posted in Club News and tagged with Old Scotch, Collingwood City, Knox City FC, Soccer, Reserves, Recap, Seniors, football, Football Victoria, FFV, FFA. July 16, 2017 by Wayne Lewis. Three Goals in Ten Minutes! Home is where to goals are! Posted in Club News and tagged with Noble Park United FC, State 3 South East, Reserves, Recap, Kevin Bartlett Reserve, Seniors, Soccer, Mens, Metro 7, Metro 6, Football, FFV, football, Football Victoria. July 2, 2017 by Wayne Lewis. A long haul to Monbulk after work this past Friday! 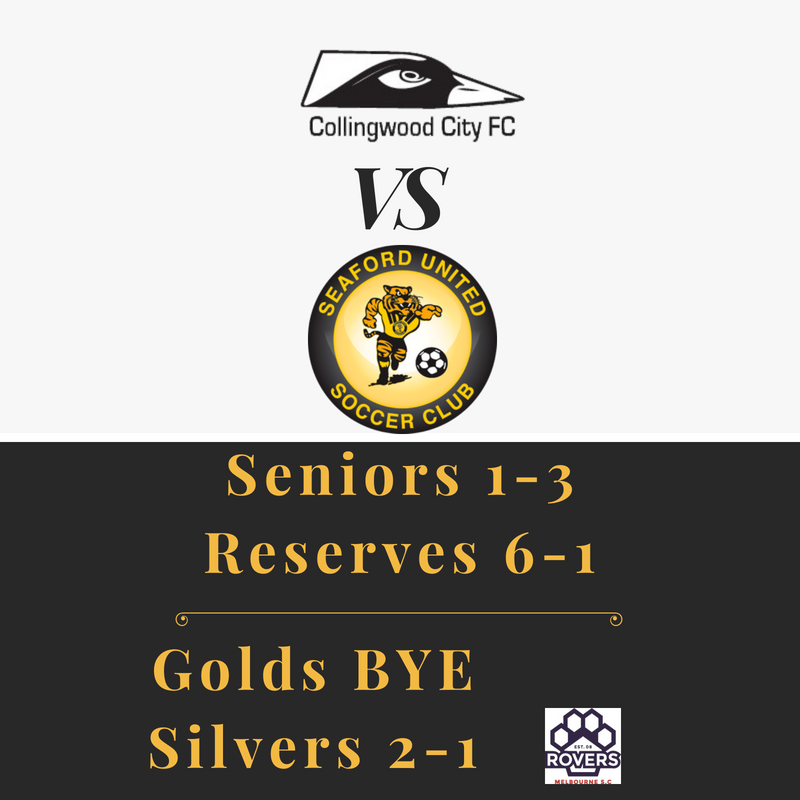 Posted in Club News and tagged with Collingwood City, Reserves, Seniors, State 3 South East, Recap, football, Football, Football Victoria, Soccer. June 25, 2017 by Wayne Lewis. A Tale of Two Days ... Weekend Recap. Saturday versus Sunday, ending on a high! 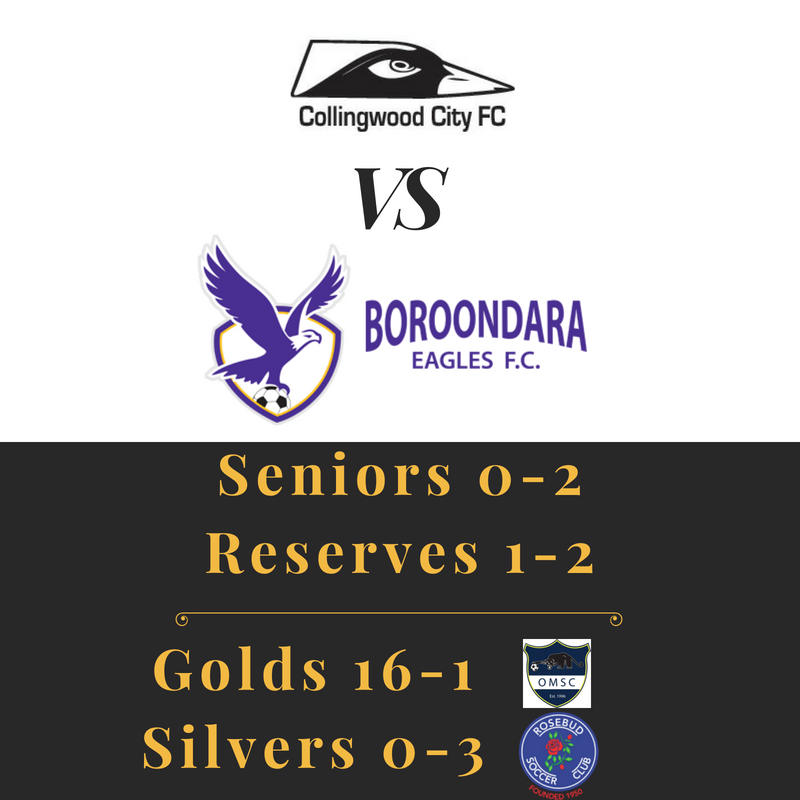 Posted in Club News and tagged with State 3 South East, South Yarra SC, Kevin Bartlett Reserve, Soccer, Football, Football Victoria, football, Recap, Reserves, Seniors. June 19, 2017 by Wayne Lewis. Weekend Recap as the Sunday 7s grab their first win! Our Sunday 7s got their first win, and what a win it was! Posted in Club News and tagged with Recap, Reserves, Riversdale SC, Seniors, State 3 South East, Soccer, football, FFV, Football, FFA. June 12, 2017 by Wayne Lewis. Three out of four sides recording a win this weekend and slowing becoming YouTube sensations! Posted in Club News and tagged with Metro 7, Metro 6, Seniors, Skye United, State 3 South East, Reserves, Recap, football, Football, Football Victoria, Soccer, Football Chaos. June 4, 2017 by Wayne Lewis. Your CCFC All Abilities Season starts this weekend! Another Cityzen side takes to the pitch this weekend! Posted in Club News and tagged with Special Needs, All Abilities, Soccer, Football Victoria, football, Football, FFV. June 2, 2017 by Wayne Lewis.